On the fifth floor of the White Caps Hotel, four young boys are left alone while their parents dine downstairs. 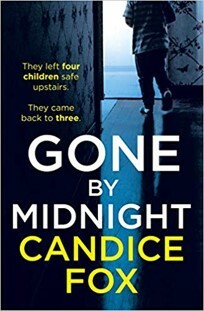 But when one of the parents checks on the children at midnight, they discover one of them (Ritchie Farrow) is missing. The boys swear they stayed in their room. CCT confirms that none of them left the building. No trace of the child is found. And so, begins this intriguing Australian mystery, the third in the series featuring the maverick partnership of Ted Conkaffey and Amanda Pharrell. When we meet them in this book, both Conkaffey and Pharrell have psychological baggage. Ted Conkaffey is an ex-police detective who was accused (though, subsequently acquitted), of the abduction and murder of a young boy. The community at large still considers him guilty. However, he is building a solitary life for himself; namely keeping geese on a remote farm, and learning to re-acquaint himself with his young daughter. Then his ex-wife and her new partner, go off on a yoga retreat and leave the girl with her father. Conkaffey avoids contact with people whenever possible, but then he is brought in by his former boss to investigate the case of the missing boy from the Hotel. He only agrees to accept the case if he can bring in his preferred partner-in-crime, the unconventional detective Amanda Pharrell (who is also shunned by her peers, for entirely different reasons). And so, the two of them start their investigation. The first task is questioning the other boys, and the parents who were all in the hotel the night young Richie Farrow went missing. It soon becomes apparent that what is initially presented as a ‘locked room’ mystery is not what it seems, and not everyone involved is telling the truth. It took a while for me to warm to both Conkaffey and Pharrell, both of whom have a lot of character flaws, and reading the earlier books in the series, would probably help paint a more sympathetic picture of them. I hadn’t read the preceding episodes was at a disadvantage. Amanda Pharrell seems to rub everyone up the wrong way, but her unconventional way of doing things gets results, and eventually I couldn’t help but admire this strong-minded, tattooed, motorbike-loving heroine. This is a tightly-plotted story that unravels into a surprising climax, a final twist coming, I never saw coming. Fans of police procedurals, thrillers and strong female characters will find much to like in this gripping novel.